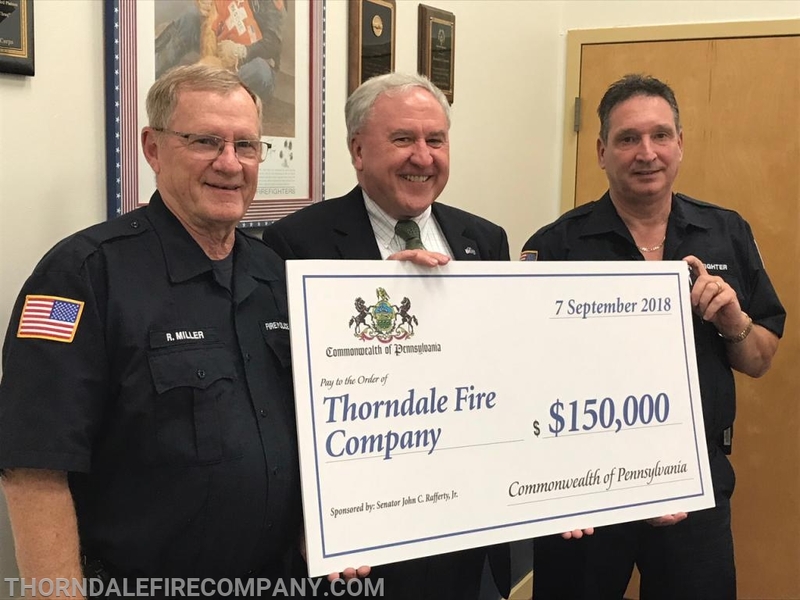 On the eve of the anniversary of the 9/11 attacks, Senator John C. Rafferty, Jr. (R-44) delivered a ceremonial check to the members of the Thorndale Fire Company, representing a grant award in the amount of $150,000. 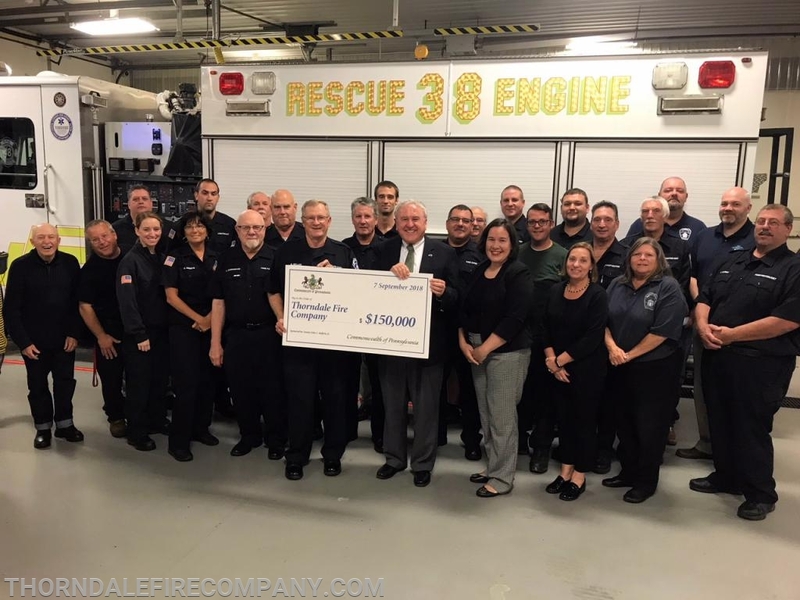 Last month, Senator Rafferty secured the grant award which will allow Thorndale's firefighters to make important updates to the fire station located in Caln Township. 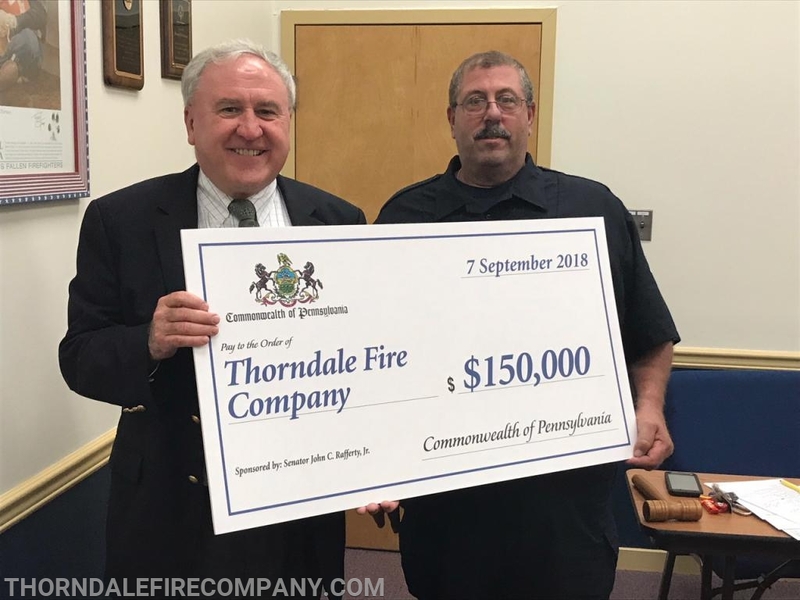 "It is my honor and privilege to present this check to the brave men and women of the Thorndale Fire Company who volunteer to serve the residents of Caln Township – day and night – to keep our communities safe," said Rafferty during the presentation ceremony. 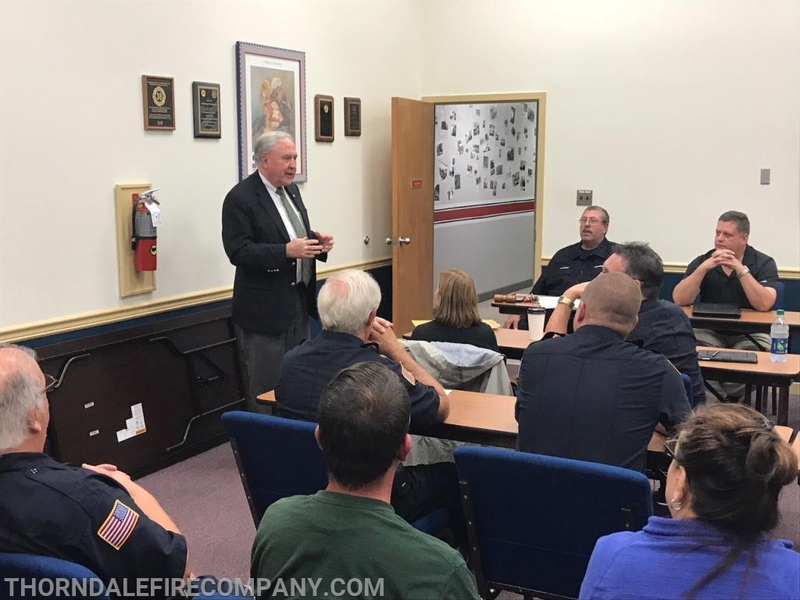 "Having been both a Township Supervisor and a State Senator, I have seen how hard our firefighters work across the Commonwealth." The grant will pay for repair and replacement of the apparatus bay floors at the Thorndale firehouse, resurfacing of the fire station driveway, and new energy-efficient lighting to help reduce ongoing expenses. "With the rising costs of equipment and operating expenditures, the days of cooking chickens to help pay for the equipment firefighters need have gone by the wayside. I am so pleased to be able to secure these funds to help improve the capabilities our volunteer firefighters deserve," Senator Rafferty said. Accepting the check was Thorndale Fire Company President John Carbo, alongside Fire Chief John Cordisco, and Grant Coordinators Ron Miller and Miles Arnold. Also on hand for the ceremony were Caln Township Commissioners Jennifer Breton and Joshua Young. 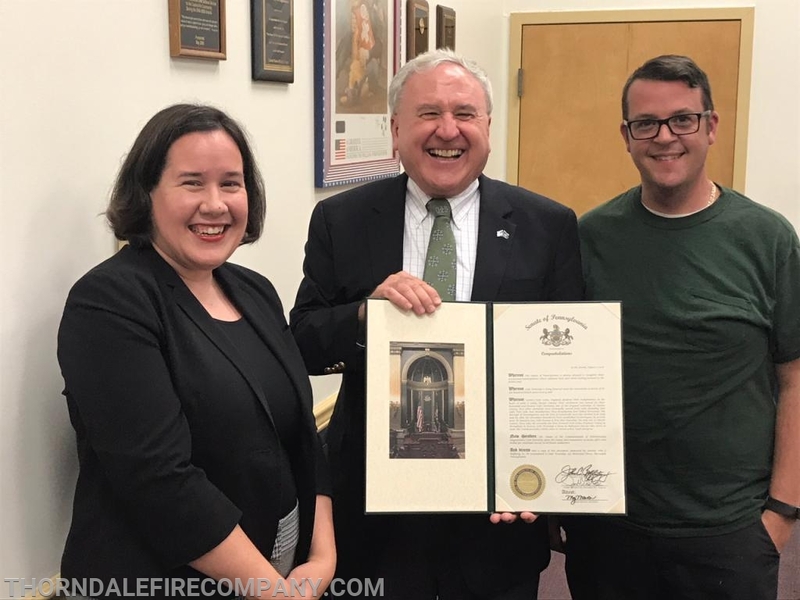 Following the presentation to the Fire Company, Senator Rafferty also presented a Senate Citation to the Caln Commissioners in honor of the milestone of the Township's 150th anniversary celebration in 2018. Since 2003, Senator John C. Rafferty, Jr. has served Pennsylvania's 44th District; representing Chester, Berks, and Montgomery Counties.